Join Gritman Medical Center for the Arbor Day ceremony highlighting the benefits of trees on health. The event begins at 11:00 a.m. at The Pearl Bistro, located at 803 South Main Street on the second floor of Gritman’s new medical office building, which will be decorated by children from the Charlie Bear Day Care. Mayor Lambert will read the Arbor Day Proclamation. Dr. Brown, Chief Medical Officer with Gritman Medical Center, will discuss the benefits of trees on health. 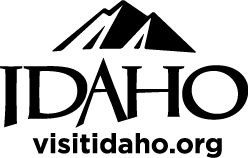 Moreover, the City’s 26th annual Tree City USA Award and Growth Award will be presented by Jennifer Russell with the Idaho Department of Lands. Finally, there will be a presentation by the children of Charlie Bear Day Care. Following the ceremony, the Arbor Day tree, an Autumn Gold Ginko, will be planted in a vacant tree well on the south side of Moscow Family Medicine located a short distance away at 623 South Main Street. Members of the public are encouraged to attend the ceremony and help be part of the annual Arbor Day celebration.